OMI death investigation data has been available electronically since the mid-1970s, providing a rich data source for researchers interested in mortality trends and risk factors. Over the years researchers at the University of New Mexico, the New Mexico Department of Health, and external agencies have used OMI data to better understand and prevent public health problems, such as youth suicide, drug overdose deaths, interpersonal violence, and motor vehicle fatalities. 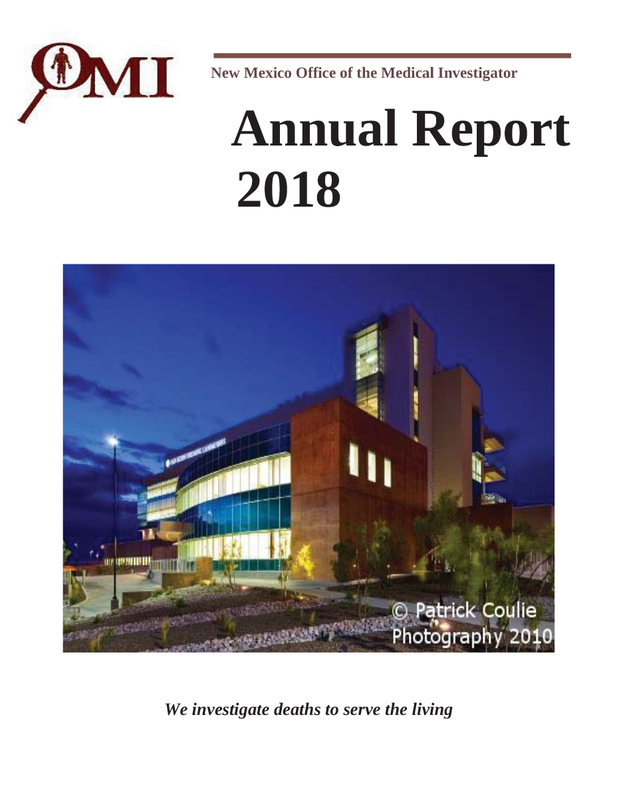 Each year OMI produces an annual report.